They say only the strong survive, but the truth is, only the most adaptive survive. That's why the Jeep brand has put more adaptive capability features than ever into the new Jeep Wrangler, to appeal to the survivor in you. 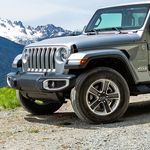 The Jeep Wrangler has never forgotten its history as a military transport, and the new generation of Jeep Wrangler models combines military grade capacity with modern creature comforts. 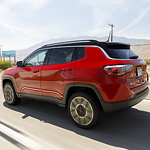 What New Exterior Features Are In The Latest Model Of The Jeep Compass? The Jeep brand is truly iconic and has been around for decades and gained a loyal following over the years. This is largely because of their sleek designs, unmatched performance, and attention to detail. 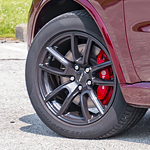 That is why we here at RZ Motors located right in Hettinger wanted to be sure to tell you all about the various exterior features of one of their most popular compact SUV's, the Jeep Compass. It is not enough to be able to carry certain items. You also may need to keep your eye on the cargo you are carrying because you can either lose or damage your belongings in some cases. 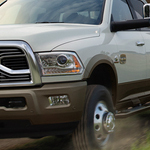 Fortunately, we at RZ Motors recommend the Ram 2500 for not only the carrying but also the protection of your belongings. One of the most popular type of car on the road today for new and growing families are family minivans. This is because not only do these types of vehicles offer tons of space, but they also come packed with some of the best performance features. 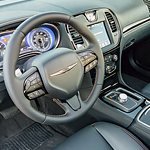 That is precisely why we here at RZ Motors located right in Hettinger are so excited to tell you all about the brand new 2019 Chrysler Pacifica! 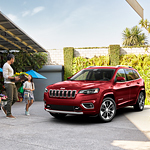 In 2019, the Jeep brand gave a whole new upgrade to the Jeep Cherokee SUV. 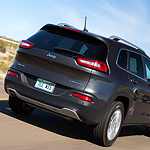 Rated in the top compact SUVs according to US News & World Report, the Jeep Cherokee has a ton of features that come standard with the latest version. This includes the new Uconnect infotainment system that connects directly to your smartphone. You can connect using Apple CarPlay and Android Auto to use voice-activated commands. This lets you make calls and text people without ever taking your eyes off the road. With distracted driving a greater danger than ever these days, it's important to be able to enjoy all of the advantages of 21st century technology without taking your eyes off the road. 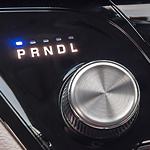 The Chrysler 300 has quickly become one of the most popular full-size luxury sedans offered in our RZ Motors showroom because it offers every driver fingertip control without unnecessary distraction. 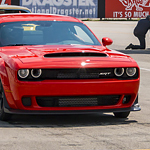 Drivers are extremely impressed with the latest from the Dodge Challenger team. With finely tuned engines, lots of technology features, and stylish cabins, the Challenger has been upgraded in almost single way. The Uconnect infotainment system receives a ton of praise from drivers. The all new menus are responsive and total customization. The screen is clear and larger than ever with a menu bar that can be customized with different icons. Dodge is making a big splash with the new Durango. This popular mid-sized SUV is available at RZ Motors. It has a sleek and modern exterior design. Not only that, but it's available in a number of paint colors to suit your personal style.